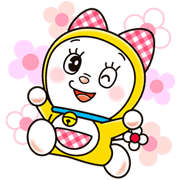 Stickers featuring Doraemon’s cute and charming little sister, Dorami! Catch her in all kinds of girly situations – Look! She’s playing with Doraemon too! 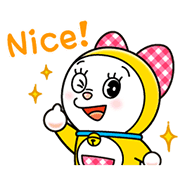 Doraemon’s adorable little sister is back on LINE with her own set of animated stickers! Watch as her cute antics light up your chats with irrepressible smiles.